(Penang) Click to download form. and a special gift. Beside him is coach Collin. Zamri Abdullah visited our training sessions in Cheras. After a long lay-off from competitive chess, Zamri is planning a comeback to chess. Beside him is his five-year old son. Participants and coaches at the closing of the 12th Kids for Chess Camp. Efren Bagamasbad (Philippines) in action. Olivia Madhavan sharing a light moment with the participants in her section. Collin Madhavan and Efren Bagamasbad finally sitting down for a breather. Kaber (in crutches) did a good job in the Lower Intermediate section. Doris Wong teaching and testing the juniors on some lessons. Prize winners for the Higher Intermediate section. Prize winners for the Tournament Player section. coaches Collin (left) and Efren (right) seated. 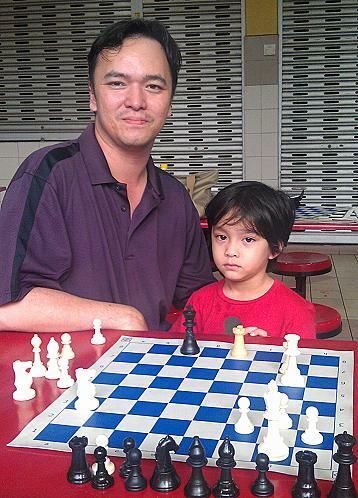 will be a future Chess champion. I'm not joking. Schoolmates Reena Roop and Pui Yi seem happy playing together. Ivan Lai (left) and Megat (in the background) working out the tactics. Dinesh is all concentration as he ponders his next move. Jones Ling with his Mohican style haircut. Liew, the vegetarian Chess player. good food caterer, then please her at 012-3939459. 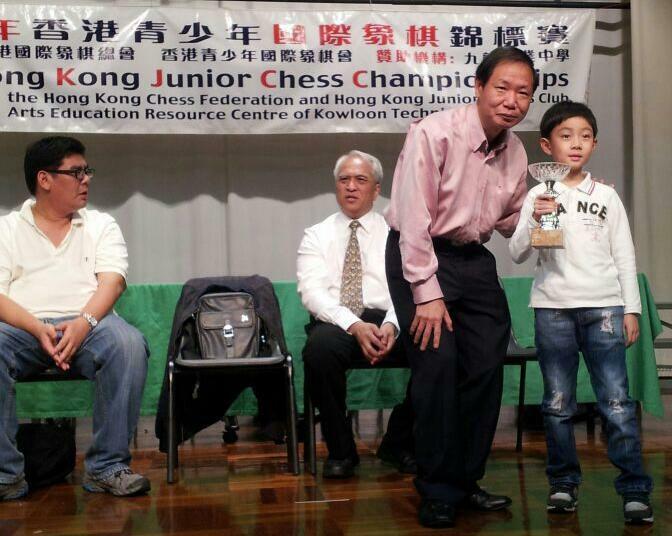 Eight-year old James Kwong emerged the new under-10 Hong Kong Champion by winning all his seven games. After his recent outing at the World Youth Championships in Slovenia, James had to overcome adjusting his play from classical time control back to rapid play. He did very well and found little trouble with the rest of the field. He was a clear point ahead of his closest rival. FIDE General Secretary Ignatius Leong (left) with James Kwong. 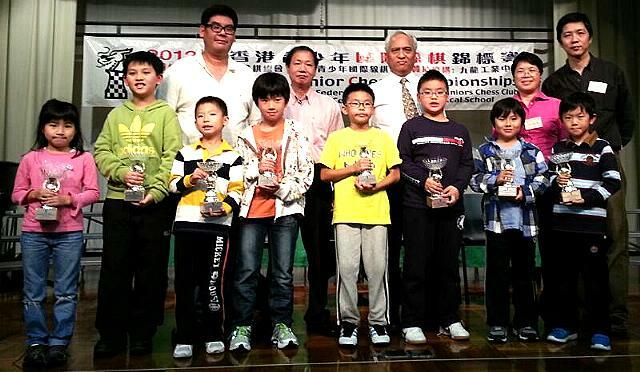 There was more good news in the under 7 category where Gerent Lee Chak Yan tied for second place. On tie-break, Chak Yan emerged in 2nd spot. 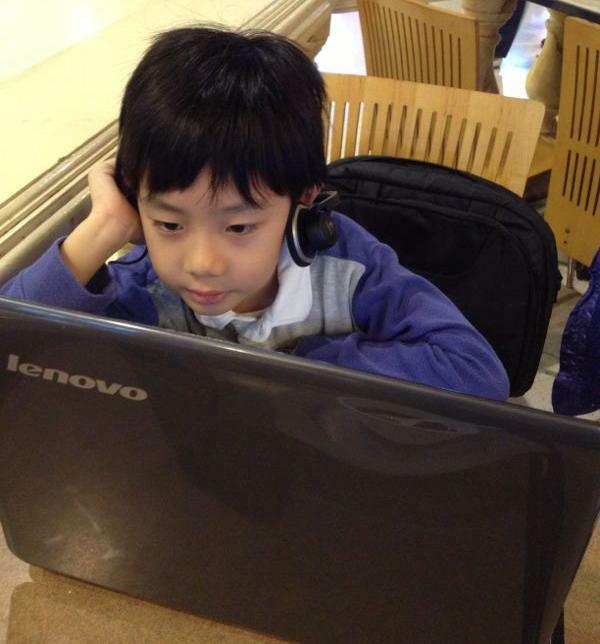 Another student, six-year old Harold Kwong, tied for seventh position in the same category just missing out on the prizes. FIDE General Secretary Ignatius Leong (left) with Gerent Lee Chak Yan. 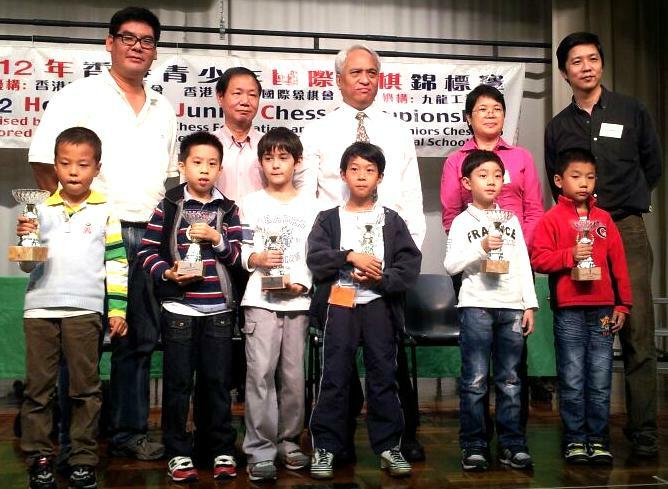 GM Wong Meng Kong, Ignatius Leong, KK Chan, Ms Ho and Jackson Li. and Gerent Lee Chak Yan (second from the right). Ignatius Leong, KK Chan, Ms Ho and Jackson Li. 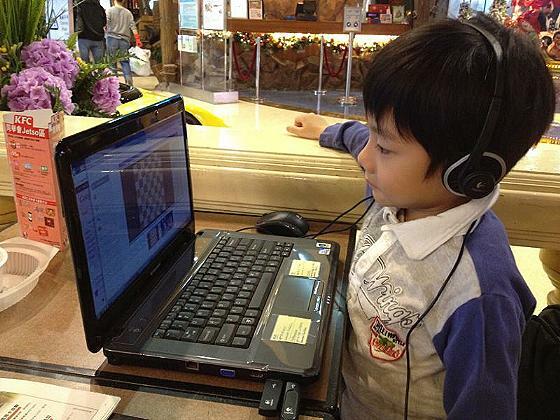 The Cheras Chess Academy has been conducting online chess classes since late last year. Already such sessions are beginning to show results. Apart from normal classes, the coaches even get to 'travel' with their students who are playing in faraway places.  Below are some photos of a student attending such a class. Lik Zang shines in Maribor!!! 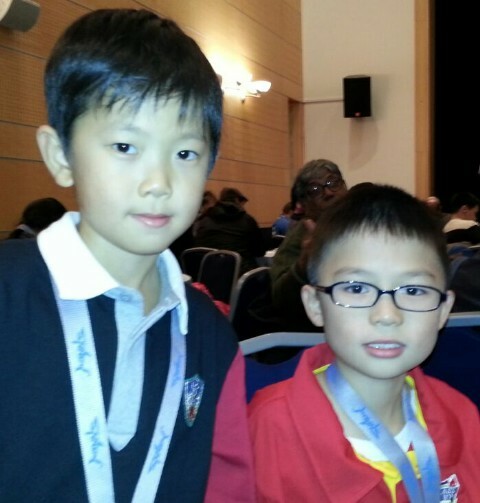 Lye Lik Zang (Malaysia) emerged joint 4th at the World Youth Chess Championships that was held in Maribor, Slovenia. His campaign at the World Youth was impressive, winning six games, drawing four and losing a winning game. 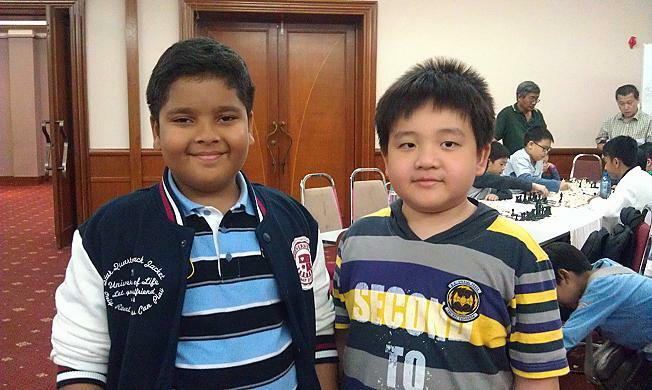 In the last round when it mattered most, Lik Zang told me that he was going for the win against the eventual winner of the tournament and the new Under-8 World Chess Champion. It was a hard fought draw though there were a few incidents during the game that had upset Lik's Zang's concentration. On tie-break, Lik Zang was place 7th in a field of 136 players from all over the world. Congratulations Lye Lik Zang for playing good impressive chess. I must say that I was pleasantly surprised at some of the positive remarks and words of encouragement that I have received for Lik Zang. understanding of several types of endgame. 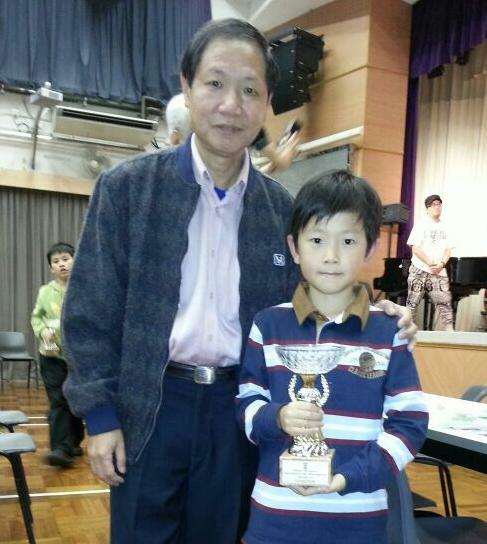 Earlier international successes include his 3rd place finishing in the under-7 Open category at the Asian Schools Championships in New Delhi, India in December 2011 and his emerging as the under-8 Champion at the 1st ASEAN International Youth Chess Championships in Singapore in August 2012. Congrats from coach Collin to Lye Lik Zang. 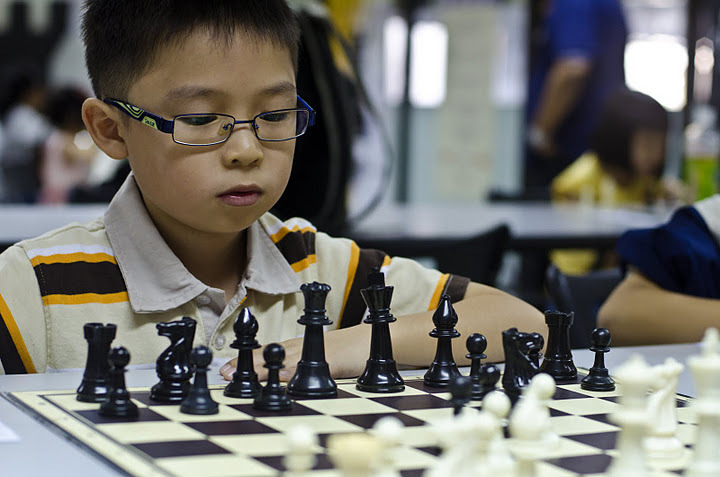 With a pair of supportive parents, James Kwong pursued his dream of one day becoming a chess Master. Slovenia was a tough test for the young lad from Kowloon, Hong Kong. With just 3 months of preparations, very little relevant tournament practice but a lot of determination, James played at the World Youth Chess competition in Slovenia. Despite his falling sick midway into the event, James managed a respectable 5 points and can proudly boasts that he played 8 experienced FIDE rated opponents! James showed a lot of promise for future chess success. Though James was the lone representative from Hong Kong, James was never really alone with his father playing the roles of father, mother, friend and doctor! True determination as he fought the cold weather as well as his fever to stay on course for the entire tournament. 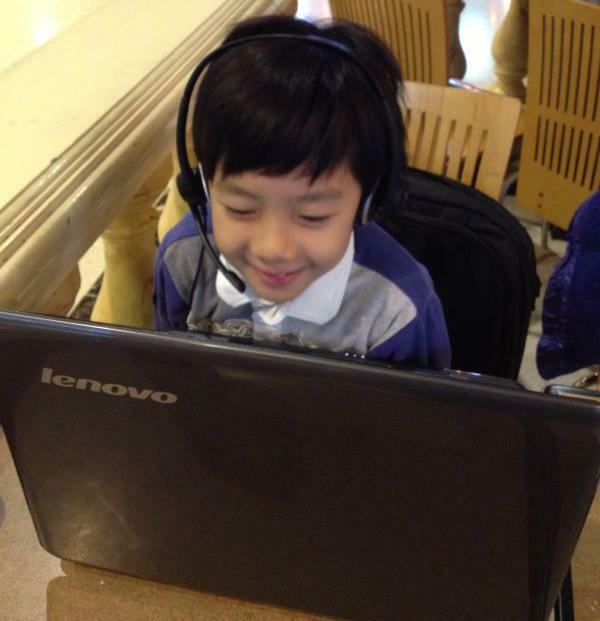 Earlier this year, James had competed at the 1st ASEAN International Youth Chess Championships in Singapore. There he emerged 7th in the under-8 Open category. during the tournament. His father had accompanied him to Maribor. 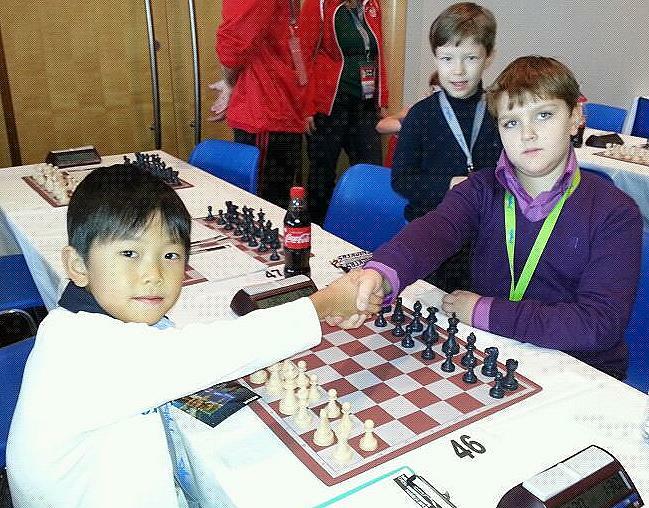 World Youth Chess Championships in Slovenia. Day & Time: Saturday from 12.30 to 1.30 pm. Area: In SS2, Petaling Jaya.